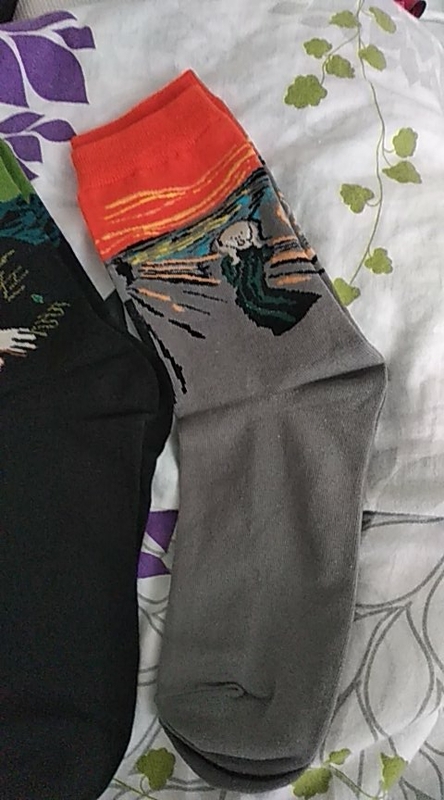 Be different by wearing these lovely famous paintings on your feet. 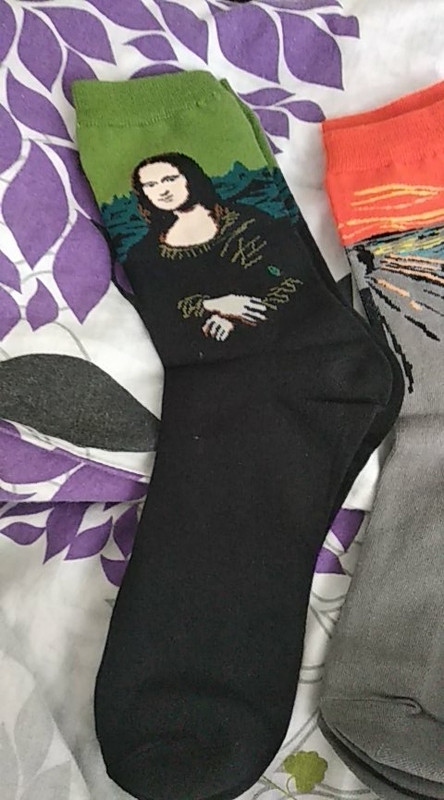 A great conversation starter every time you take off your shoes, and shows you have great taste. The quality is awesome and the image is just like the photo. 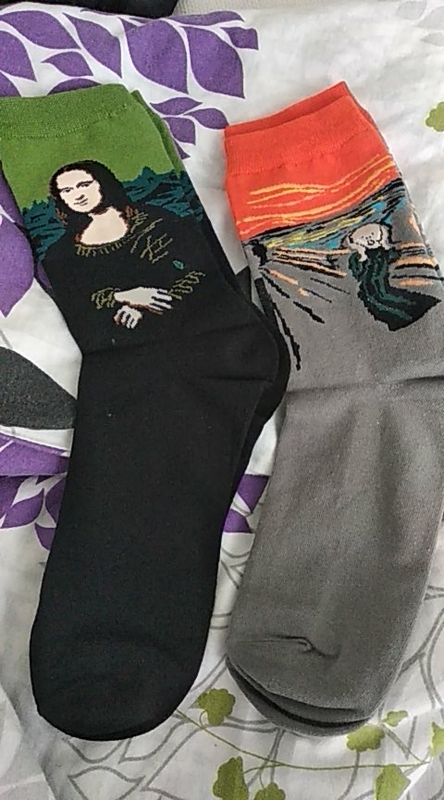 No complaints here: great socks for the price.